1461 PW 3-eye shoe is made with the classic Dr. Martens firm and durable finished leather with a smooth, semi bright appearance. 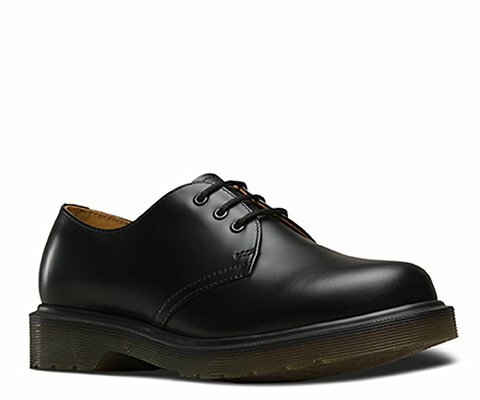 Designed with Dr. Martens plain welted sole, has no visible construction thread. This 1461 PW is a Goodyear-welted product. The upper and sole are heat-sealed and sewn together, not merely glued like many footwear constructions.